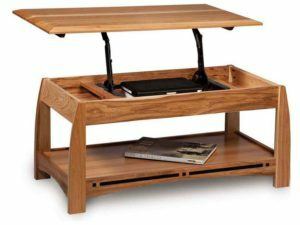 The Boulder Creek Enclosed Coffee Table is like a coffee table and dining table/work and play station rolled into one. We offer it with a lift-top option! 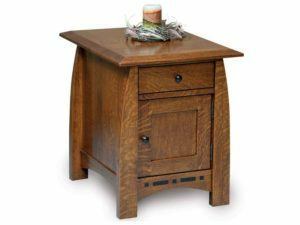 So, raise the 1-inch-thick, solid wood top. Then, pull it toward you. And you’ll get to enjoy a snack or work on the computer. Or you can read a book or play a game. All from the comfort of your sofa. Then, lower the top, and the impressive Boulder Creek features come clearer into view. Notice the arched skirt with ebony inlays. And check out the gently curved legs. 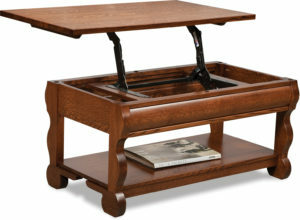 They all attest to the warm, classic style of the Boulder Creek Enclosed Coffee Table. Below the lift top, we built a 3 1/4 inch storage area. 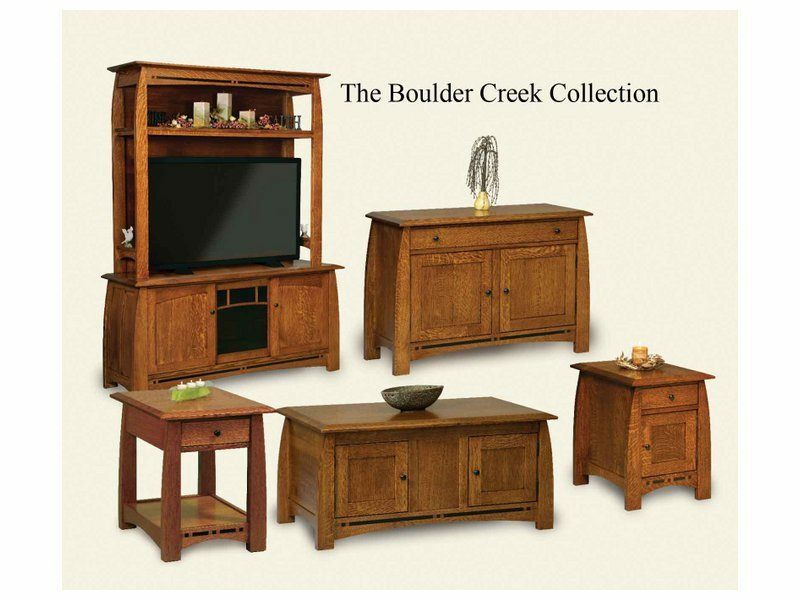 It’s great for all your living room accouterments — remotes, magazines and the like. Also, we gave you lots more storage space — and an adjustable shelf — behind the doors. 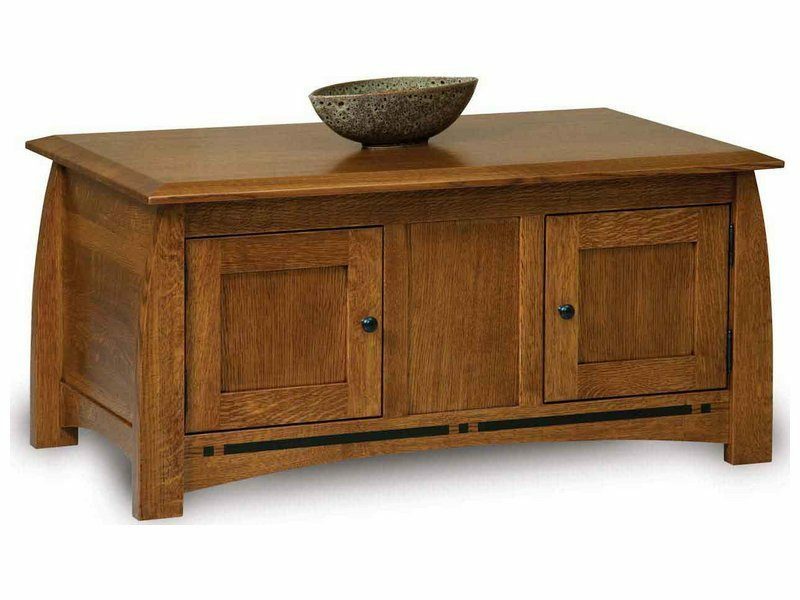 You can complement the Boulder Creek Enclosed Coffee Table with other pieces in the Boulder Creek Collection. 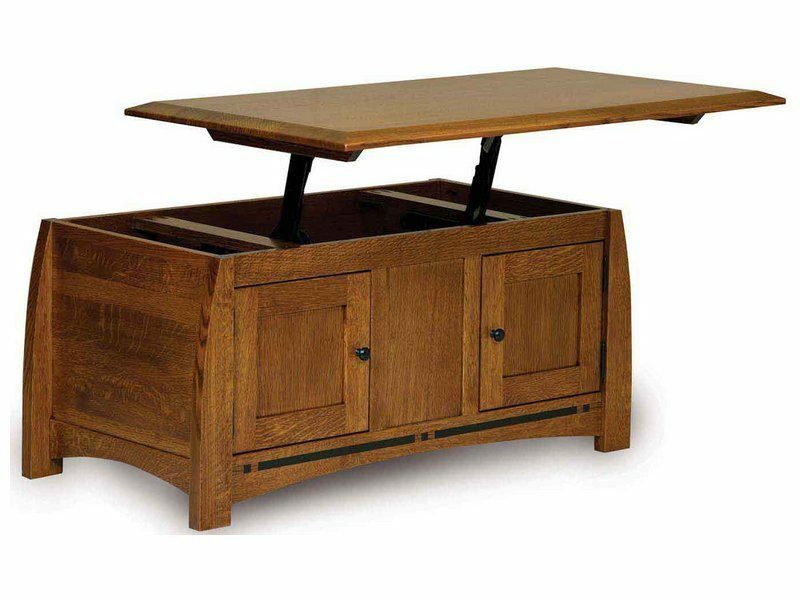 They include end tables, sofa tables, media stands and cabinets, bookcases and home office furniture. 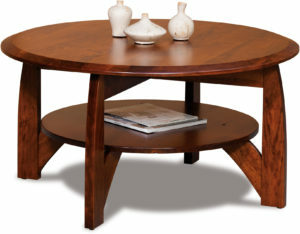 Plus you can order the coffee table as shown or unfinished. And we can customize it to fit your specs.